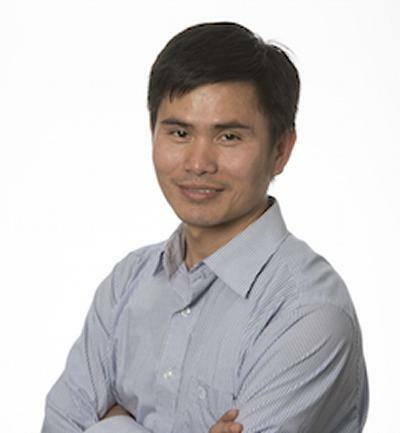 Dr Tri-Dung Nguyen is currently an Associate Professor in Operational Research and Management Science at the University of Southampton, jointly, at both the Mathematical Sciences and the Business School. Dr Nguyen has worked for several financial firms (Credit Suisse, Fidelity in the USA), IT firm (Fujitsu-Siemens in Germany), and logistics/research institutes (PSA in Singapore, ATCRC in Australia). I am interested in applying mathematical modelling, game theory, and other operational research techniques to a wide range of real-world applications. My areas of expertise include large-scale optimisation, computational game theory, and optimisation under uncertainty. I have recently received a prestigious 5-year EPSRC Fellowship to carry out research on cooperative game theory and to apply this to novel applications. The project also involves using computational algebraic geometry to solve combinatorial problems, especially those arisen from game theory. I am currently looking for PhD students visit findaphd.com for more information. 2017-2022, EPSRC Fellowship, Cooperative Game Theory: New Mathematical and Algorithmic Approaches. 2013 - FCC Incentive Auctions Designs, USA. 2013 - 2014, sKTP/Path Intelligence/Southampton, Statistical analysis of visitor data in shopping malls, UK. 2009 - 2010, NSF/UIUC, Large-scale complex systems modelling and optimization for biofuel development, USA. Abbaszadeh, S., Nguyen, T-D., & Yue, W. (Accepted/In press). Optimal trading under sign constraints using approximate DP. Journal of the Operational Research Society. Nguyen, T-D., & Thomas, L. C. (2016). Finding the nucleolus of large cooperative games. European Journal of Operational Research, 1-30. Nguyen, T-D., Cai, X., Ouyang, Y., & Housh, M. (Accepted/In press). Modeling infrastructure interdependencies, resiliency and sustainability. International Journal of Critical Infrastructures, Special Issue on Resilient and Sustainable Coupled Critical Infrastructures. Biermann, F. M., Naroditskiy, V., Polukarov, M., Nguyen, T-D., Rogers, A., & Jennings, N. R. (2014). Task assignment with controlled and autonomous agents. Mathematical Social Sciences, 71, 116-121. Liu, P., Nguyen, T-D., Cai, X., & Jiang, X. (Accepted/In press). Finding multiple optimal solutions to optimal load distribution problem in hydropower plant. Energies, 5(5), 1413-1432. Strang, G., & Nguyen, T. (2004). The interplay of ranks of submatrices. SIAM Review, 46(4), 637. Brennan, T., Lo, A., & Nguyen, T-D. (Accepted/In press). Portfolio Theory. In N. Higham (Ed. ), The Princeton Companion to Applied Mathematics Princeton, US: Princeton University Press. Nguyen, T-D., & Sandholm, T. (2016). Multi-option descending clock auction. Paper presented at International Conference on Autonomous Agents and Multiagent Systems, Singapore. Tran-Thanh, L., Nguyen, T-D., Rahwan, T., Rogers, A., & Jennings, N. R. (2013). An efficient vector-based representation for coalitional games. 383-389. Paper presented at IJCAI'13 Proceedings of the Twenty-Third international joint conference on Artificial Intelligence, . Rahwan, T., Nguyen, T-D., Michalak, T., Polukarov, M., Croitoru, M., & Jennings, N. R. (2013). Coalitional Games via Network Flows. 324-331. Paper presented at Proc. 23rd International Joint Conference on AI (IJCAI), . Walshe, J. H., Watson, D. A., Blake, J. I. R., & Nguyen, T. D. (2011). Through life asset management by integrated life cycle costing and concurrent engineering. Paper presented at ICCAS 2011: International Conference on Computer Applications in Shipbuilding, Italy. Nguyen, T-D., & Perakis, G. (2008). Robust competitive pricing for multiple perishable products. Cambridge, US: Massachusetts Institute of Technology. Brennan, T., Lo, A., & Nguyen, T-D. (2007). Portfolio theory: a review. Cambridge, US: Massachusetts Institute of Technology. Nguyen, T-D., & Sandholm, T. (2014). Optimizing offer prices in FCC incentive auctions with binary options. Southampton, GB: University of Southampton. Cooperative game theory is a branch of game theory that offers a conceptually simple and intuitive mathematical framework to model collaborative settings involving multiple decision makers (players). Solutions of cooperative games offer different ways to share the profit or cost among the players in a way that ensures the fairness and stability of the collaboration, while considering the possibility that any subgroup of players has the option to form their own coalition. The focus of this project is on the most generic class of cooperative games - the integer maximisation games. These games arise in settings where the players in each coalition need to solve an integer maximisation problem to achieve the best interests of their coalition. The proposed research addresses a fundamental question of how to distribute payoff under a new paradigm with the presence of uncertainty and in the context of reasonably large games. The research also aims to address a fundamental challenge in operational research, which is how to efficiently solve a large number of discrete optimisation problems sharing some common structures.